KGB thugs charged with controlling the thugs running the DDR are not often skilled in the arcana of monetary and FX policy. 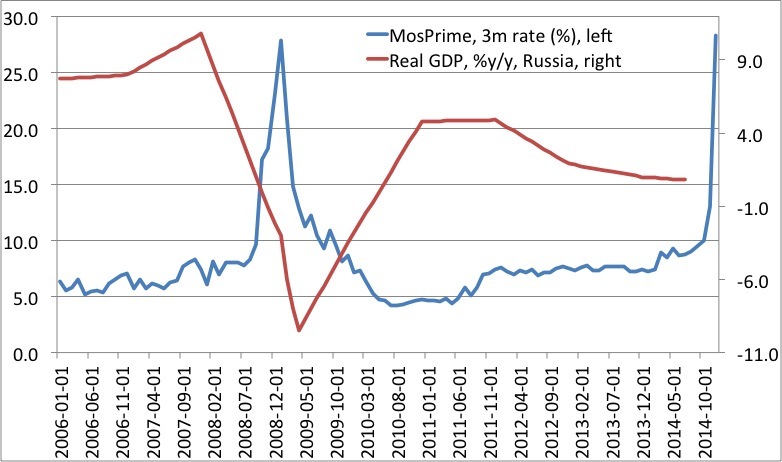 If there is one skilled monetary economist in Russia, he doesn’t work at the Kremlin or the CBRF. If the US wants to, it can do to Russia what it has already done to Iran, Cuba and the DPRK. All dollars clear at the FRBNY. Putin’s foreign policy reminds me of Mussolini’s: very stupid.